2018's MWC delivered, and we can't wait for this year's iteration. In a world where some believe innovation in the smartphone industry to have plateaued, 2018 managed to give us a number of brilliant smartphones. Here we take a close look at the devices we just cannot wait to see in 2019, with a focus on what makes them so interesting. 2018 delivered on its smartphone promises in grand style. 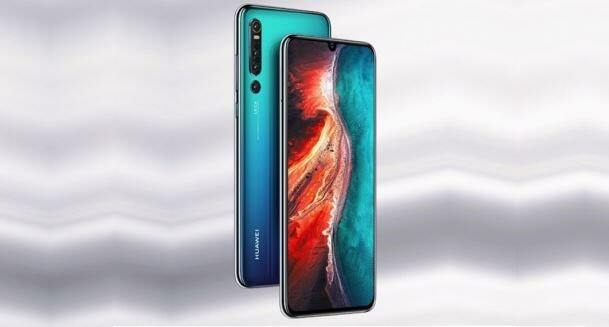 The smartphone industry saw quite a bit of advancement in various departments: The Huawei P20 Pro and its game-changing triple rear camera setup, improved lowlight camera performance across the board thanks to Google and Huawei’s software genius, progress in machine learning and AI, and even more improvements that brought the mid-range segment closer than ever to the flagship space. It wasn’t peculiar to any one OEM, either, as most companies had something innovative to showcase last year. 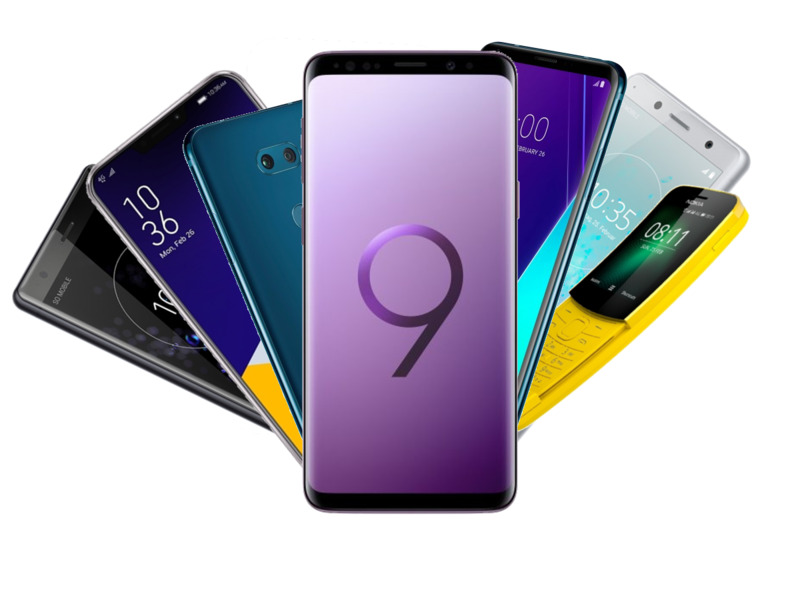 This year may be off to a ponderous start but let’s have a look at the smartphones we’re most excited for in 2019. You know, the ones we shiver in anticipation whenever we think of, and just can’t wait to have in our hands. Yes, the elephant in the room. Best to point it out at the start and get it over with, before moving on to more unexpected picks. Samsung usually releases two similar generations of smartphones. The S8 and S9, for example, were almost identical. 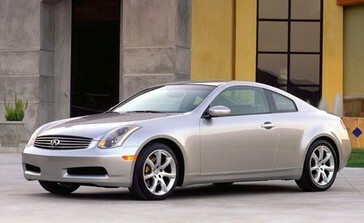 So alike, in fact, that most regarded the S9 as a mere incremental upgrade over its predecessor. That’s an opinion we’re inclined to agree with, for the most part. Which is why we’re even more pumped up for the S10. 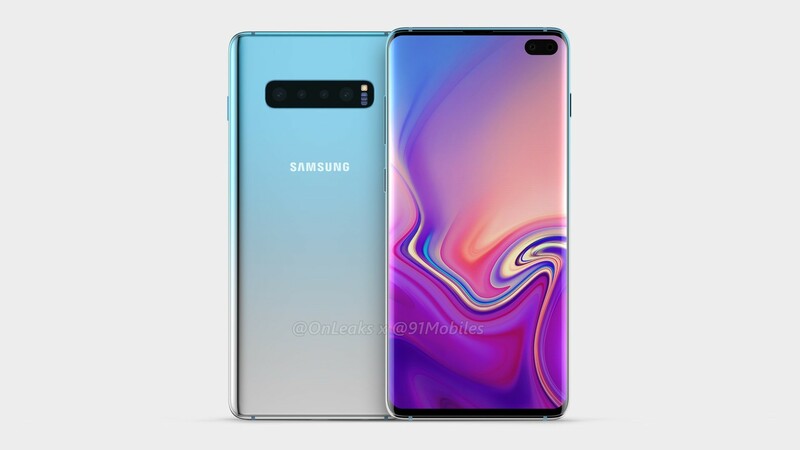 The S10 is set to be the most feature-packed Galaxy S phone in history. For one, it will attempt to forgo bezels entirely in favor of a punch-hole display, with Samsung’s Infinity-O technology keeping the selfie camera tucked under the screen. Oh, and we’re not talking about a single camera sensor either. The S10 phones will offer a whole gallery of cameras, with the S10 Plus expected to feature a sensational five cameras in total. Three at the back and two in front. LG V40 fans probably won’t like that. The phones are also expected to feature under-display fingerprint readers, which is a technology that stormed the stage in 2018. Samsung hardware is generally unmatched, though, and we’re curious to see what the South Korean company does with that feature. Because if you’re not talking cameras, you’re not talking business. The Huawei P20 Pro had the honor of being the first phone to feature a stunning triple rear camera setup, and in the P20 Pro’s case, more actually meant better. At launch, the P20 Pro had a case for having the best smartphone cameras on the planet. It may have been surpassed—depending on whom you ask, of course, but don’t ask the guys over at DxOMark—by its elder sibling, the Mate 20 Pro, and Google's Pixel 3, but it still shoots some absolutely brilliant photos. The P30 Pro is expected to better that. And we’re almost certain it will, too. 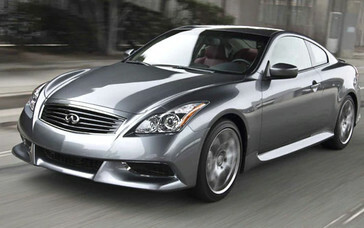 For one, rumors have it as penned down to feature four rear sensors. While it won’t have the honor of being the first to do that—the Galaxy A9 has that medal, sadly—we’re confident that it will be the most impressive implementation by the time it’s launched. Cameras aside, the P30 Pro will also be a proper flagship, and we expect to get all the bells and whistles from it. Apart from a 3.5mm headphone jack, maybe, but Huawei doesn’t care about any of that. The Pocophone F1 shook the world last year. Not in the way the Huawei P20 Pro did with its cameras, though. The F1 chose to deliver the Android enthusiast’s ideal device: A big, solid display, ample RAM and storage, a top of the line SoC, a headphone jack, a big battery, and capable camera hardware. All at a completely mind-boggling price point of US$300. While the raging Pocophone support gallery may say otherwise, we have to point out that we don’t consider the F1 to be a proper flagship. It lacks too many vital features to be one. That said, we can appreciate it for what it is: A high-performance, no-frills device that does pretty much all you can ask of it efficiently, without requiring you to break the bank. Car enthusiasts may see a parallel between the Pocophone F1 and the Infinity G35 when it was released in 2003. Not quite the best handling car in its segment, nor the fastest, but it did just enough of everything to make it debatably the best option in its class. We don’t expect any groundbreaking technology from the Pocophone F2. We’d be satisfied with better cameras—especially since it’s a software bottleneck; the F1 has the same hardware as the Pixel 2—a less wonky display, perhaps better speakers, et cetera. Refinement. 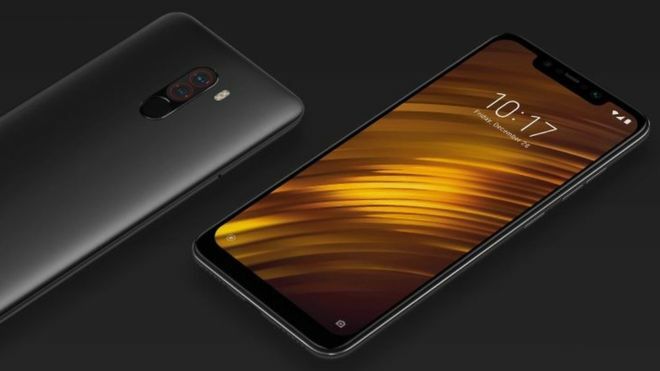 If Xiaomi can manage to refine the F2, much like how Infiniti did the G35 when it became the G37 five years later, we’d be very satisfied. At this point, it should be obvious that we’re fans of cameras. While premium performance hardware has mostly plateaued—one can hardly differentiate between a Snapdragon 835 and Snapdragon 845 in real-life usage, for example—It’s still possible to see the visible improvements in camera performance. 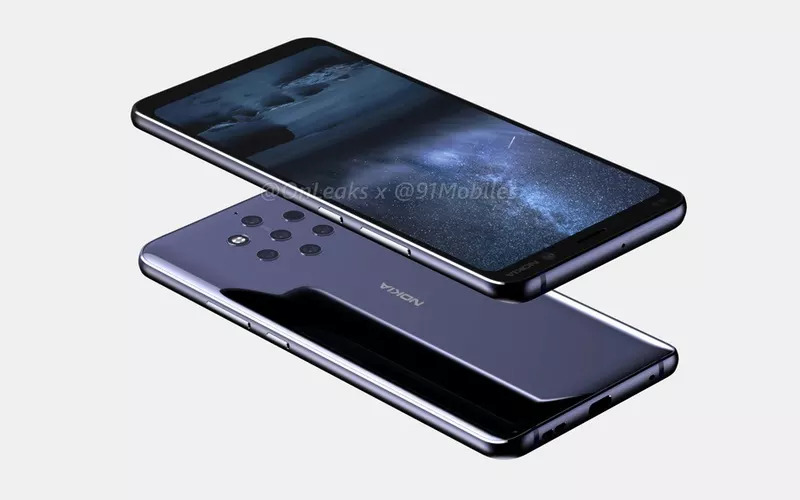 If the P30 Pro excited us, then HMD Global’s upcoming Nokia 9 PureView all but sends us into a frenzy. The flagship will feature an absolutely mind-boggling five rear cameras, and more than anything, we’re interested in seeing how the company implements them. Devices like the Huawei P20 Pro and Mate 20 Pro have done bits with their versatile triple rear camera setups, and the PureView has a lot of expectations on its shoulder. There’s also the fact that nouveau-Nokia has gained something of a bad reputation for delivering middling, not-quite-impressive cameras. The Nokia 9 will take on the “PureView” branding, which is even more indication that HMD Global will be focused on doing its absolute best with the phone’s cameras—software, in particular, being a major point of concern. Cameras aside, the Nokia 9 PureView will be the first true Nokia flagship since the brand was redefined back in 2017. And no, the Nokia 8 doesn’t count. We’re not expecting it to knock the Samsung Galaxy Note off its perch, but we sure hope it puts up a good fight. That’s the least a Nokia flagship is expected to do. 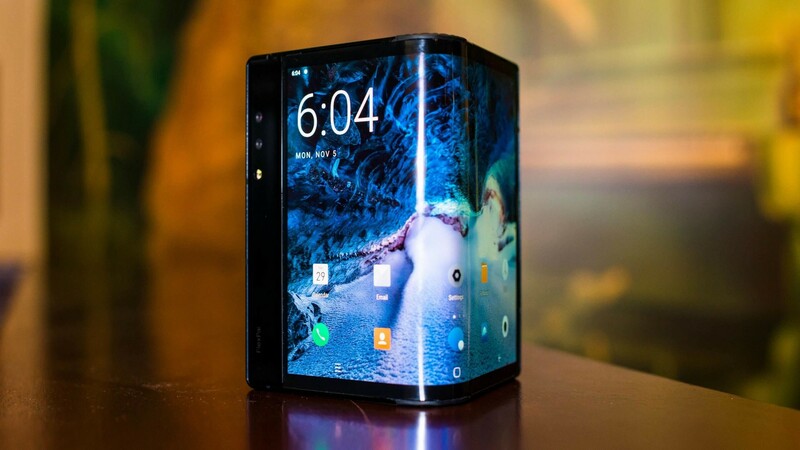 Foldable phones have been the talk of the town for the last two years at the very least, and 2019 will likely herald the advent of the first set of bendy devices. The Royole FlexPai has the privilege of being the first foldable phone to hit the market, but it's still very much imperfect hardware. That said, the first to the punch usually still has a number of kinks to be worked out, and the FlexPai is to be respected for what it stands for, more than for what it actually is. Samsung is set to launch its own flexible phone in January, and we expect the world's biggest smartphone manufacturer to deliver a far more polished device. Companies like Xiaomi have also teased their own takes on flexible hardware, and we'll be surprised if other big OEMs don't join the trend this year. Now, this is something of a cop-out, as we should be specifying devices here. Vivo, however, releases a number of premium phones every year, and we’re excited about every single one. The company was undoubtedly the most innovative OEM in 2018. The company started off the year with an under-display fingerprint reader on the Vivo X20 Plus UD, and went on to release phones like the Vivo Nex S with a pop-up camera, and the Vivo NEX Dual Display Edition with a secondary display. If 2019 continues in that vein, then we’re in for a glorious night out, and the drinks are on Vivo. Honorable mentions include Apple and the Mate 30 Pro. 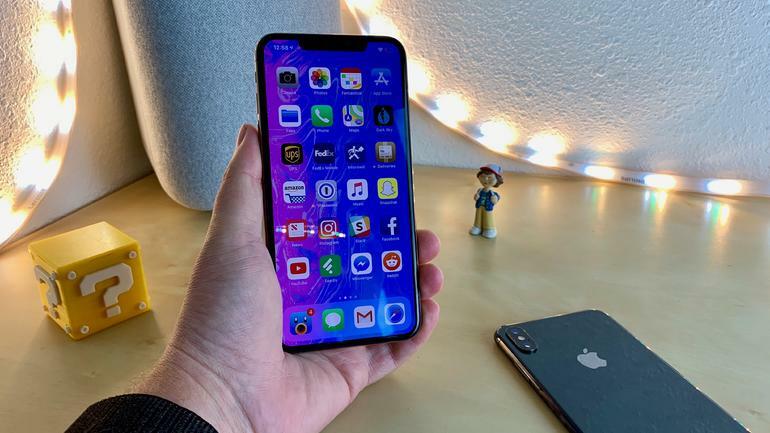 The former had a rocky 2018 and we expect the Cupertino-based company to strike back with something innovative this year, after the bore fest that was 2018. The Mate 30 Pro will build on the Mate 20 Pro’s unparalleled hardware, and the P30 Pro’s promised camera performance. We expect something brilliant from the Chinese giants.